David Cameron is facing a rebellion among backbench MPs against his plans to scrap the Human Rights Act and replace it with a British Bill of Rights, which would give the UK jurisdiction to overrule some European Court rulings. The measure is expected to be announced in the Queen’s Speech later in May after it was previously blocked by the Liberal Democrats under the coalition administration, but it has already proved unpopular with many of Cameron’s own Tory MPs. Newly appointed Justice Secretary Michael Gove previously said he believes Cameron has less than a five-percent chance of passing the bill. Foreign Secretary Phillip Hammond will meet his European counterparts in Brussels next week to argue Britain should be able to opt-out of European Court of Human Rights (ECHR) rulings it disagrees with. He is unlikely to have great success. 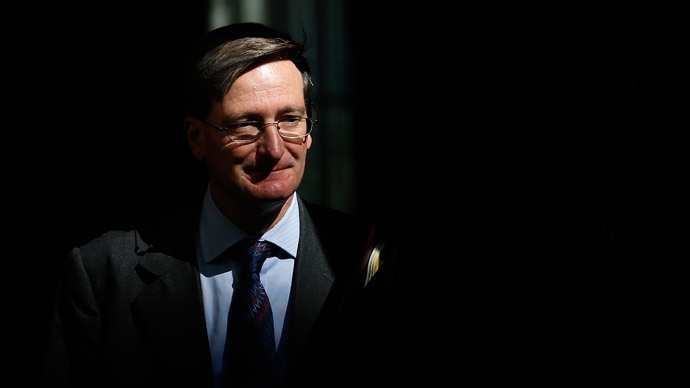 The plans to form a British Bill of Rights have been met with opposition from both high ranking Tories and a number of backbenchers. David Davis MP said he felt the UK would “come into conflict” with the ECHR if the measures were pushed through. “I'm afraid we will come into conflict with the European court and I don't want us to leave it. “If we leave, it's an excuse for everyone else to leave. So I think that could be quite an interesting argument, come the day. “I think it is more likely there will be an argument over that than over Europe,” he added. Another backbencher, who remains unnamed, said the proposals were “legally incoherent,” adding that Cameron could face defeat in the House of Commons. “If what emerges is a lot of sound and fury but no attempt to fiddle with fundamental rights as set down by the Convention then what we have is the Human Rights Act in all but name and that will be fine,” they said.